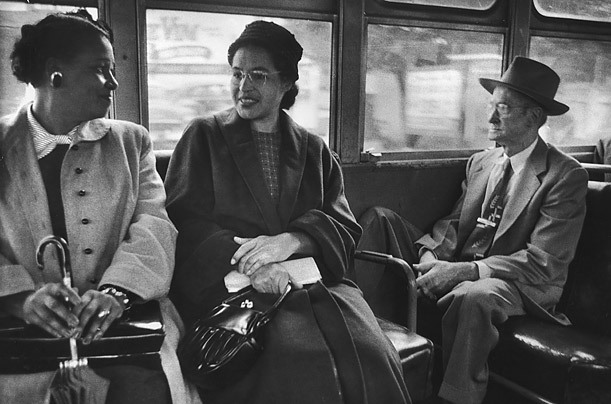 Even though African Americans constituted some 70% of total bus ridership in Montgomery, Ala., Rosa Parks still had trouble keeping her seat on Dec. 1, 1955. It was against the law for her to refuse to give up her seat to a white man, and her subsequent arrest incited the Montgomery Bus Boycott. One year later, the U.S. Supreme Court upheld a lower court's decision that made segregated seating unconstitutional. Parks was known thereafter as the "mother of the civil-rights movement."